Client: K. Wah International Project Management (HK) Ltd.
Sector: Residential signage & wayfinding design. Location: Yuen Long, Hong Kong (SE Asia). Role: Exterior & interior signage design and wayfinding strategy. Areas include: entrances, outdoor landscaped areas, clubhouse, car park and BOH (back of houses) area. 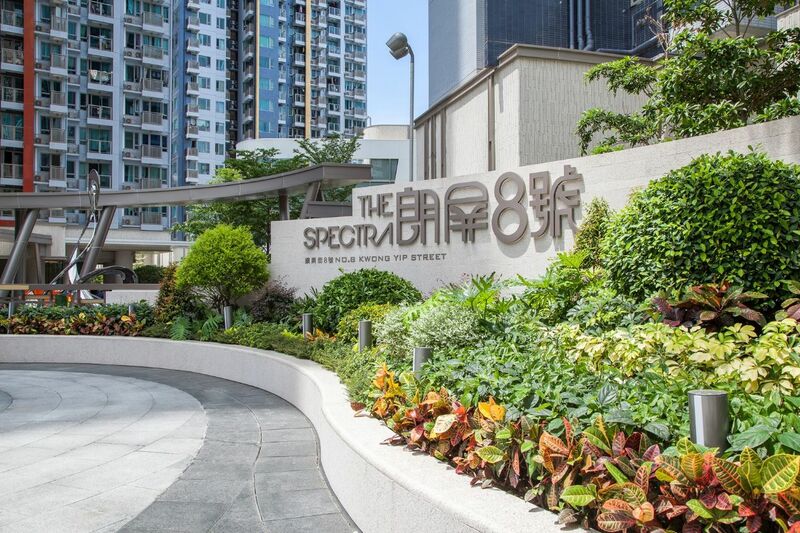 The Brief: The Spectra is a new residential development located next to the West Rail Long Ping Station in Hong Kong. It consists of four 24-storey residential towers, a club-house with gym and outdoor pool, and a multi-story basement car park. The project covers nearly 50,000 sqm of space. Atelier Pacific were commissioned as the Signage & Graphics Design Consultant to work alongside the architects (Wong Tung & Partners) and the property developers’ (K. Wah) in-house project team, to add a touch of painterly panache to the environs of this new town development. Outcome: Read more about this project on the Atelier website. Case Study submitted by: Atelier Pacific Ltd.